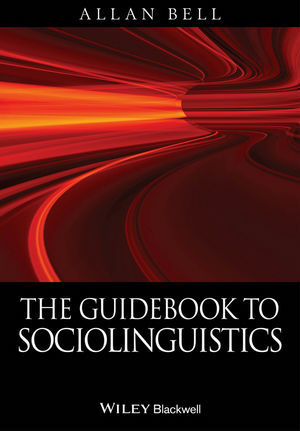 The Guidebook to Sociolinguistics presents a comprehensive introduction to the main concepts and terms of sociolinguistics, and of the goals, methods, and findings of sociolinguistic research. Allan Bell is Professor of Language & Communication, and Director of the Institute of Culture, Discourse & Communication at Auckland University of Technology, New Zealand. He is the Editor of the Journal of Sociolinguistics (Wiley-Blackwell), and of several books on New Zealand English and other languages.